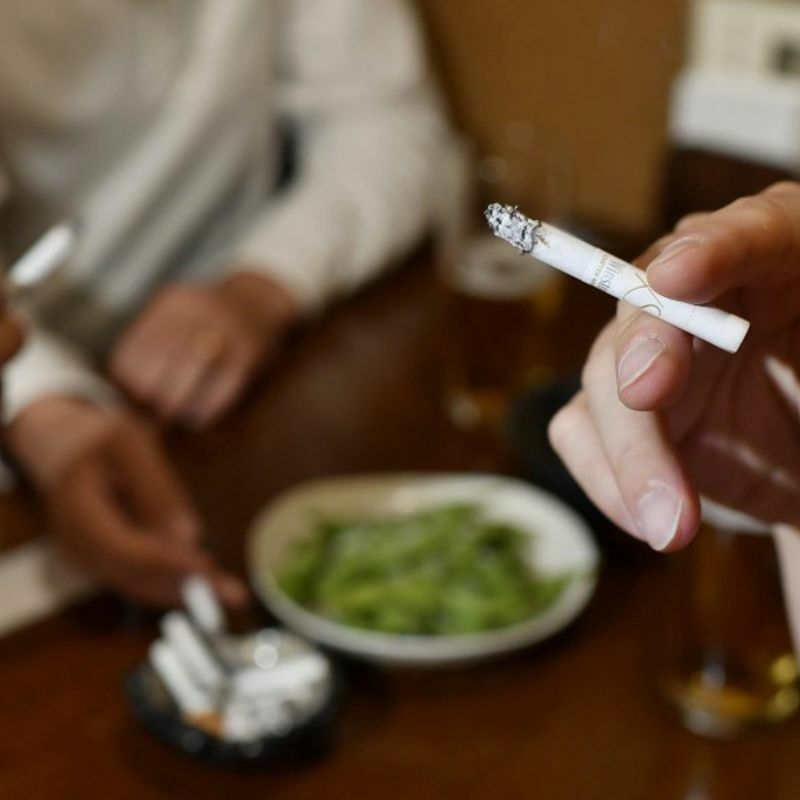 TOKYO - The Japanese government said Tuesday it plans to restrict use of heat-not-burn tobacco products but give up on a total ban on indoor smoking to prevent passive smoking, backpedaling from its initial goal due to industry resistance. Heat-not-burn tobacco products will be restricted as a user's breath contains nicotine and other substances that can cause cancer, but use of such products will be allowed in specially designated rooms at restaurants where customers will also be able to eat and drink, according to the government plan. Under the plan drawn up by the health ministry, smoking will be completely banned in hospitals, schools, universities and government offices to protect children and others from secondhand smoking. Minors will be prohibited from entering smoking spaces. Smoking will be permitted in restaurants and bars if they set up special rooms for exclusive use by smokers where no food or drink will be served. However, the ministry is currently negotiating with the LDP regarding restaurants and bars that are to be exempted from the requirement to establish separate smoking areas. As Japan is among the lowest-ranked countries in terms of tobacco control, with no smoke-free law covering indoor public spaces, the health ministry originally planned to introduce a tougher ban but backed down due to opposition from the ruling Liberal Democratic Party and industries to be subject to the measure. After obtaining the LDP's approval, the ministry plans to submit a bill to "tighten" tobacco control to the Diet in March and implement the legislation in stages by the 2020 Tokyo Olympic and Paralympic Games, according to ministry officials. Currently, facility operators in Japan are only required to "make efforts" to prevent passive smoking. Restrictions on heat-not-burn tobacco use will be less stringent than those on cigarettes because the risk to health posed by secondhand smoking of such products remains unclear, the officials said. On the backpedaling from the initial plan, a senior health ministry official said, "It would be difficult to introduce thorough restrictions by disregarding smokers. We need to take a first step." The Tokyo metropolitan government, which aims to introduce its own indoor smoking ban as the host city of the 2020 Olympics, will postpone submitting a draft ordinance to its assembly session to be convened in February, sources close to the matter said Tuesday. The local government believes it is necessary to review the envisioned ordinance given discrepancies with the health ministry plan, and will aim to propose it at an assembly meeting starting in June, the sources said.